Welcome to The NUT on the Net! 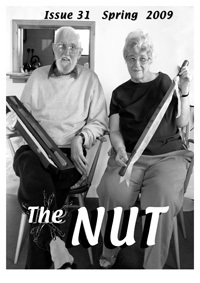 The NUT on the Net is the website of The NUT, the journal of the Northumbrian rapper sword dance, published three times a year on a non-profit basis, bringing you the latest news of teams and events, complete with a whole host of other articles. 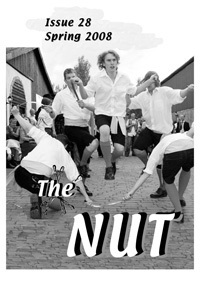 The NUT on the Net aims to provide visitors with an insight into the rapper sword dance, as well as to act as an information source for rapper sword dancers. The NUT on the Net includes information about magazine, together with an archive of selected articles previously published in The NUT, and links to further information, including to rapper teams worldwide. Visitors to this site who want further information about rapper may also want to visit the Rapper Online site, which has extensive content about the rapper sword dance and its history. 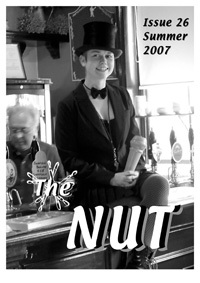 The NUT started out as a publicity newsletter for DERT 1994 in Newcastle upon Tyne, but went on to become a regular publication. It is the only periodical dedicated to the rapper sword dance, and its ongoing existence depends on members of the rapper community supporting it by subscribing and submitting contributions.